Faith Ed. 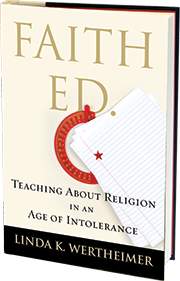 Makes Best Gifts List: Many thanks to author Jennifer De Leon for including Faith Ed. on the Radio Boston list of best books to give as gifts this holiday season. 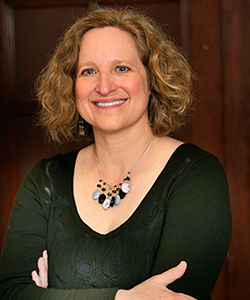 She spoke about her choices on WBUR’s Radio Boston. You can hear the show and read about the other books at this link. Virginia schools’ shutdown over lessons on Islam? If you’ve been following the recent news, teaching about Islam in particular is big news again. That resulted in my writing an op-ed for The Washington Post’s Acts of Faith blog and getting interviewed by two publications. I’m included in an LA Times article about the to-do and the subject of a q-and-a in Sojourners. The furor over the lesson, which included copying the Shahada, the Muslim statement of belief, as a calligraphy exercise may not fade any time soon. The school system is holding a meeting on Jan. 7. Florida-Bound: The Faith Ed. book tour, which ended for 2015 with a talk at Tifereth Israel in New Bedford, Mass., continues next month in Florida. I’m slated to give talks, one in Tampa on Friday, Jan. 15 (more details soon) and the other on Sunday, Jan. 17 at 4 p.m. at Books & Books, a Miami book store. Please help spread the word. FYI, if you’ve already bought my book and want it signed but live far away, send me an email. I can send you a signed book plate sticker for the book. I wanted to end with a few words about the photo at the top of this page. The three of us quipped about the sight of a priest, imam and a Jewish author together on a panel. But I know all of us loved that it was so easy for us to sit together and talk about the importance of learning about different faiths. Many thanks to Joyce Gillis of Sacred Heart for inviting me to speak at the church. I’m looking forward, meanwhile, to many more events in 2016. 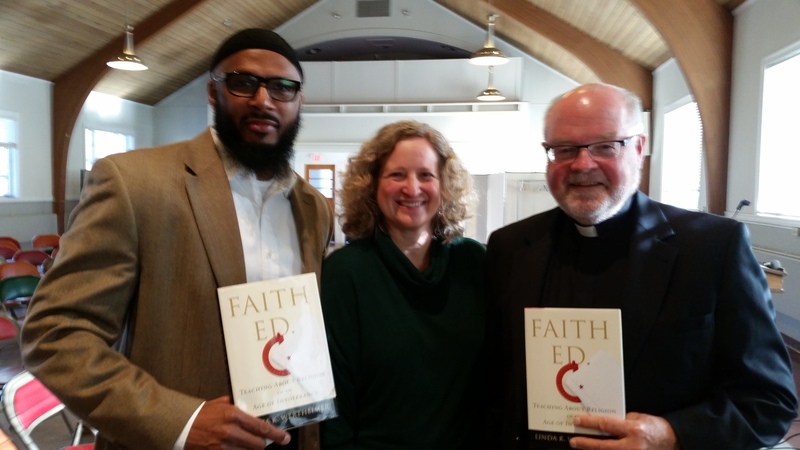 Tagged Best 2015 Holiday Gifts, Books & Books, Faith Ed, Imam Taymullah Abdur-Rahman, Monsignor Paul Garrity, Radio Boston. Bookmark the permalink.